What is it like to be a working psychoanalyst? And what is it like to be held in the mind of one? These were the questions that led Winer and Malawista to interview seventeen notable analysts from around the world. Who’s Behind the Couch? 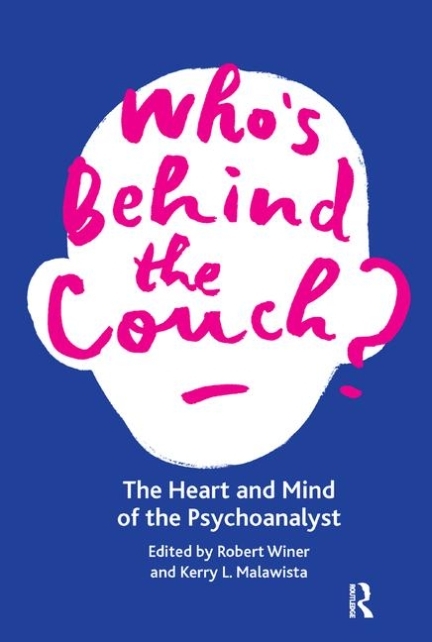 : The Heart and the Mind of the Psychoanalyst explores the analyst’s mind at work, not so much from a theoretical perspective, but rather from the complexities and richness inherent in every moment-to-moment clinical encounter. As analysts we are all continually challenged to find what might work best with a particular patient. Yet we don’t often hear senior analysts share their personal struggles, feelings, and sensibilities. To understand the internal experience of analysts the authors posed questions such as: What is it like for analysts to manage rough spots, to lose ground and try to recapture it? To feel appreciated and then to feel devalued? To feel betrayed? To feel responsibility for someone’s life while working to maintain their own balance? These questions and others probed the interior life of the analysts interviewed, touching on a range of feelings from love to hate, envy and rage to desire and longing. While this book will be of interest to practitioners, it should also be of interest to those considering or engaging in treatment. At a time when the relevance of psychoanalysis is challenged, personal reflections of the analyst enrich our understanding of the deep and meaningful relationship that illuminates the depth and vibrancy of psychoanalytic practice today. Robert Winer MD is a teaching analyst at the Washington Psychoanalytic Institute, where he is chair of the faculty. He is co-founder and co-chair of the following training programs – New Directions: Writing with a Psychoanalytic Edge, Close Attention, and The Psychoanalytic Studies Program at the Washington Center for Psychoanalysis. He has taught at various Washington area universities, professional training programs, and mental health facilities. Dr Winer is the author of Close Encounter: A Relational View of the Therapeutic Process, and has written and presented extensively on film, the family, and other subjects of psychoanalytic interest. He is a member of the editorial advisory board of Psychiatry: Interpersonal and Biological Processes. Dr Winer is in private practice in Bethesda, MD. Kerry L. Malawista MSW, PhD is a training and supervising analyst at the Contemporary Freudian Society and co-chair of New Directions in Writing at the Washington Center for Psychoanalysis. She is permanent faculty at the Contemporary Freudian Society and has taught at George Washington University Psychology Doctoral Program, Virginia Commonwealth University and Smith College School of Social Work. She is the co-author of Wearing My Tutu to Analysis and Other Stories and co-editor of The Therapist in Mourning: From the Faraway Nearby. Her essays have appeared nationally in newspapers, magazines, and literary journals including The New York Times, The Washington Post, Zone 3, Washingtonian Magazine, Voice, and The Account Magazine alongside many professional chapters and articles. She is a regular contributor to The Huffington Post, and is currently in private practice in Potomac, MD, and McLean, VA.